These tables have been designed by Hans Wegner in 1962, but they were not produced in large scale until 2011. The serie includes three models, CH334, CH335 and CH336, with different lengths. The tables are made on order. Delivery time is approx. 6 weeks. 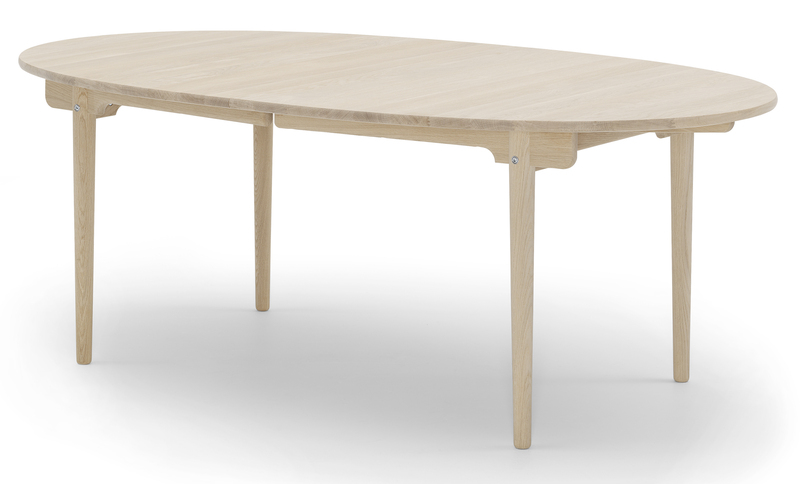 Extensions The table with oak tabletop can reveive extension leaves in oak or MDF (grey or black). Each extension leave measure 60x115cm. CH334 accept 2 extensions max, CH335 and CH336 4 extensions max.